This bottle cap self-portrait by Mary Ellen Croteau is a poignant pointillist art piece that draws attention to our reliance on plastic bottles and reluctance to recycle them. Croteau used thousands of bottle caps to create the piece, which measures 8 feet by 7 feet. Croteau says that she was partially inspired by artist Chuck Close, who uses shapes of color to create a larger portrait. 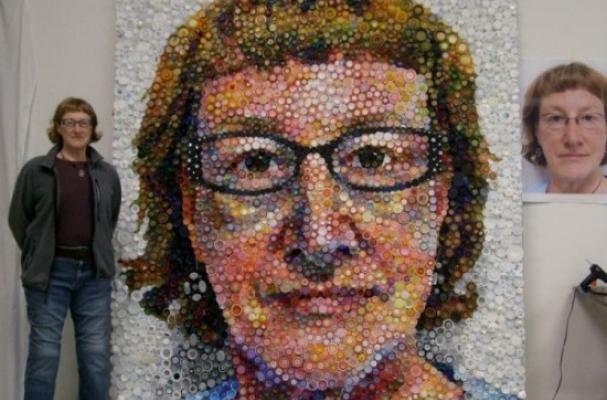 What do you think of the bottle cap self-portrait and the eco statement it makes?